1Add all the ingredients to a shaker and fill with ice. 2Shake vigorously and strain into a highball glass or champagne flute. 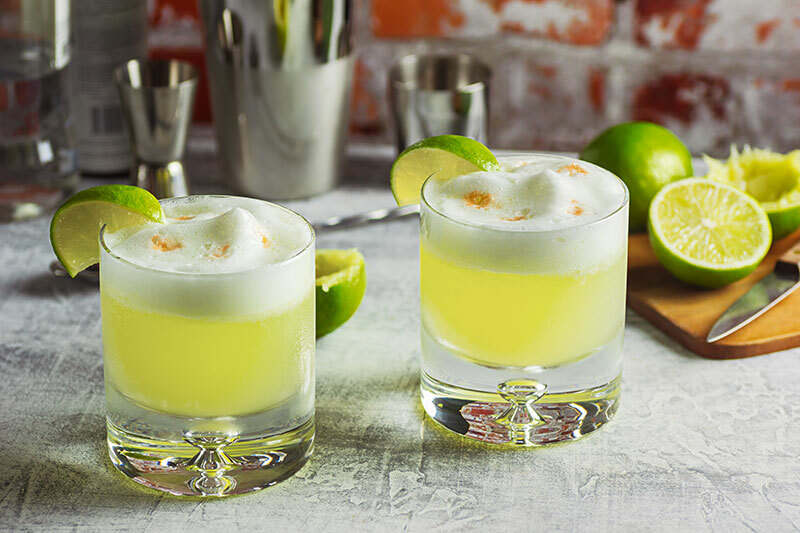 3Garnish with a lime wheel and 2-3 drops of bitters; allow to settle in the foam of the cocktail. 4Using a straw, swirl the bitters into a simple design.